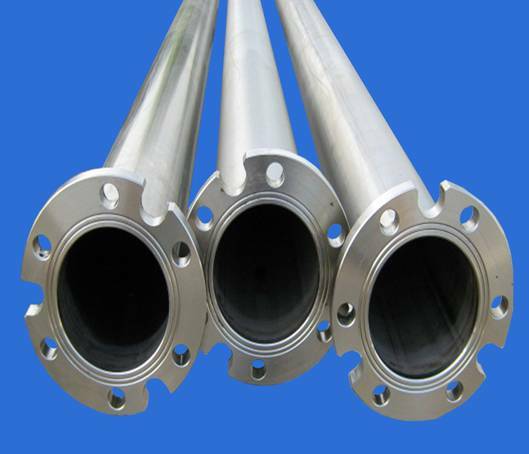 Flanged riser pipes are purposely designed to be connected with submersible pumps as this kind of joint bears, without consequences for the pipes, the twisting strength due to pump ignition and stresses resulting from its operation. 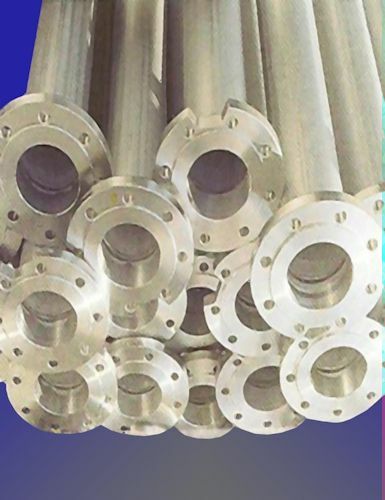 Flanges do not have any vulnerable area coming from reduction on pipes wall thickness, their overall dimensions are reduced to minimum in order to be laid in small diameter wells, they are lined for better sealing and have slots for power cable, moreover they are milled with pipe housing. Flanged riser pipes with screws and gaskets are available in carbon steel without coating, coated with waterborne base paint or hot galvanized and in AISI 304 and 316 L stainless steel. * Weight is approximate and is calculated on the basis of 7,85 Kg/ dm3 .